A Quilter's Table: Finish it Up! I still do not have another finish for the Finish it Up! challenge, though I AM a giant step closer! Dream Big returned home from the quilter's yesterday, so she just needs her binding! Here's a pic of some of the quilting detail. So, my list is still not showing much progress, but I should have that second finish by next week! 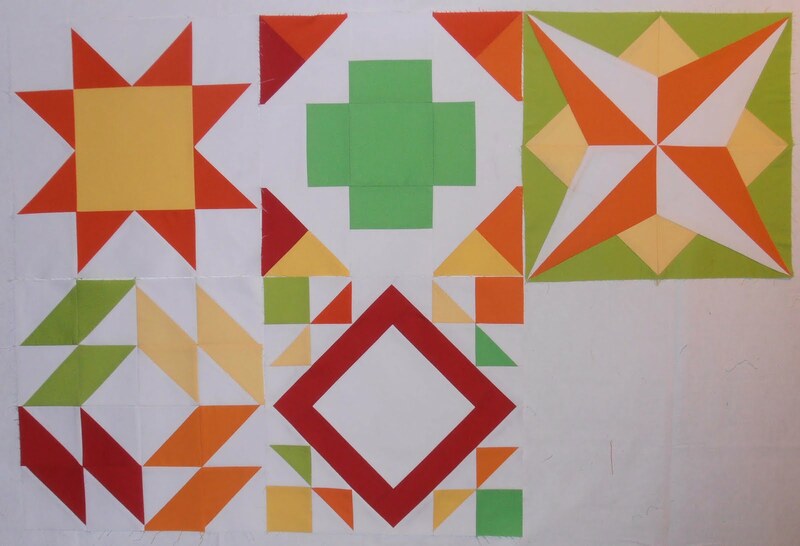 Meanwhile, I have had a productive week - mailed off blocks for the Scrapbuster Swap (see here), am in the middle of piecing together my Kaleidoscope QA blocks (see here), and have five blocks done for the Summer Sampler Series QA. And, Dots Swap! sign-up has closed, so to those of you joining Rachel and I, we'll be getting you your list of swappers soon! All in all, a productive week! Dream Big is stunning. Is it for you or a gift for someone else? Can't wait to find out who I get to swap with...that reminds me, I've got to start shopping for fabric! The quilting on Dream Big is fabulous! The FNSI really helps us to get something sewn, done or completed. I'm enjoying it and getting things done. Your "Dream Big" quilt is wonderful. The quilting is amazing. Love the borders on Dream Big!